There is not a sticker under the hood. Whoever had it before me must have removed it. No, I did not pull them all off. 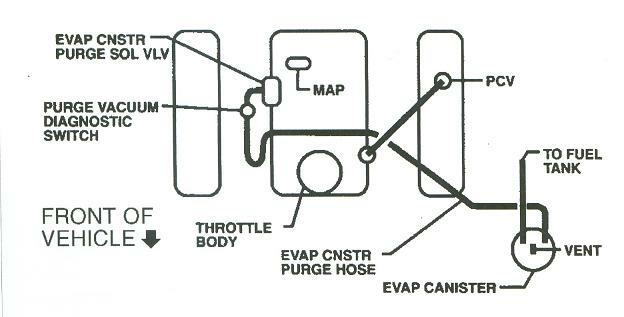 Here a diagram for the emission’s vacuum routing. Hope it helps. Thank you Dan, I appreciate it. Are there vacuum lines that open and close the vents also? When I change from vent to defrost, or vice versa, I get a delayed reaction. It can sometimes take up to 2-3 minutes before it changes. I don’t think that the 98 pick-up uses vacuum motors to actuate the mode door(s) it’s all electric motors now. As far as what’s going on with yours I don’t know? I’ve just had a look at a couple of the test procedures and they can be a bit involved so again I wouldn’t be able to tell you where to start looking unless I was under the dash with you. 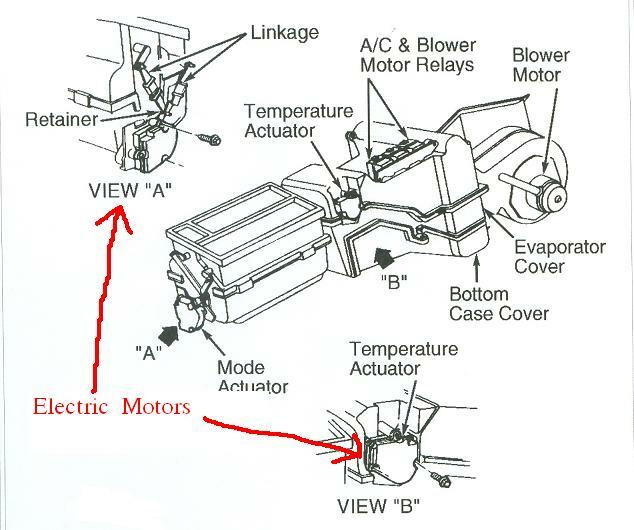 Here a diagram of the heater box. Thanks again Dan! I'll take a look at this. I had a '99 Astro that would have problems with a vacuum line breaking that was located right behind the alternator to close to the block. When it broke it would cause the mode doors to default to the windsheild defrost position. This happened more than once. I assumed the truck would have the same type of fix but I couldn't find anything under the hood.